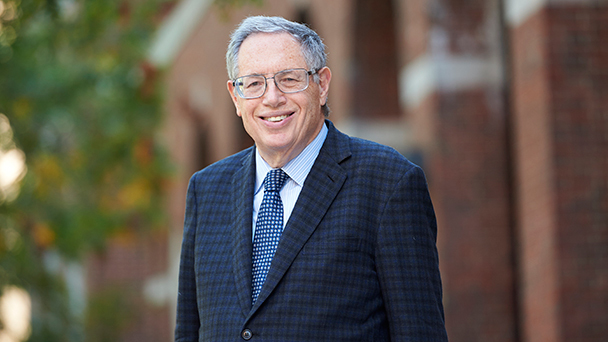 "The Nature of The Religious Firm"
Professor Richard Epstein of New York University Law School and the University of Chicago will visit with the Center for Biotechnology & Global Health Policy on Thursday, January 25, 2018 from 12:05-1:00 p.m. to present a work in progress: "The Nature of The Religious Firm. "Professor Epstein’s research focuses on constitutional law, tort law, property rights, and communications law. Richard A. Epstein is the inaugural Laurence A. Tisch Professor of Law at NYU School of Law. Epstein is also the James Parker Hall Distinguished Service Professor of Law Emeritus and a senior lecturer at the University of Chicago. His initial law school appointment was at the University of Southern California from 1968 to 1972. He has been a member of the American Academy of Arts and Sciences since 1985 and has been a Senior Fellow of the Center for Clinical Medical Ethics at the University of Chicago Division of Biological Sciences, also since 1983. He served as editor of the Journal of Legal Studies from 1981 to 1991, and of the Journal of Law and Economics from 1991-2001. From 2001 to 2010 he was a director of the John M. Olin Program in Law and Economics at the University of Chicago. He is the author of more than 15 books, including the most recent: The Classical Liberal Constitution: The Uncertain Quest for Limited Government (2014). He has also edited (with Catherine M. Sharkey) Cases and Materials on the Law of Torts (11th edition 2016). Professor Epstein has written numerous articles on a wide range of legal and interdisciplinary subjects. He has taught courses in administrative law, antitrust law, civil procedure, communications, constitutional law, contracts, corporations, criminal law, employment discrimination law, environmental law, food and drug law health law and policy, legal history, labor law, property, real estate development and finance, jurisprudence, labor law; land use planning, patents, individual, estate and corporate taxation, Roman Law; torts, and workers' compensation. Professor Epstein also writes a legal column, the Libertarian, and is a contributor to Ricochet.com, SCOTUSblog, and Forbes.com.